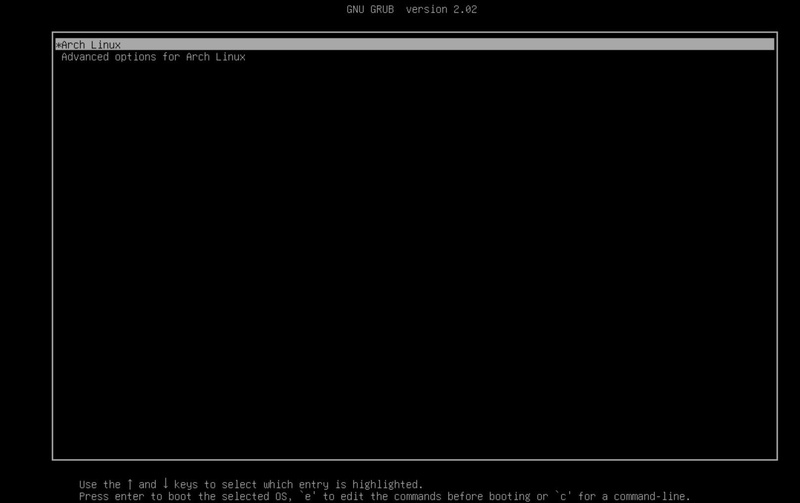 Reboot and select the first line in grub to boot from. Then we need to login with root and its password. Internet is activated thanks to networkmanager. We try it out with pacman -Syu. 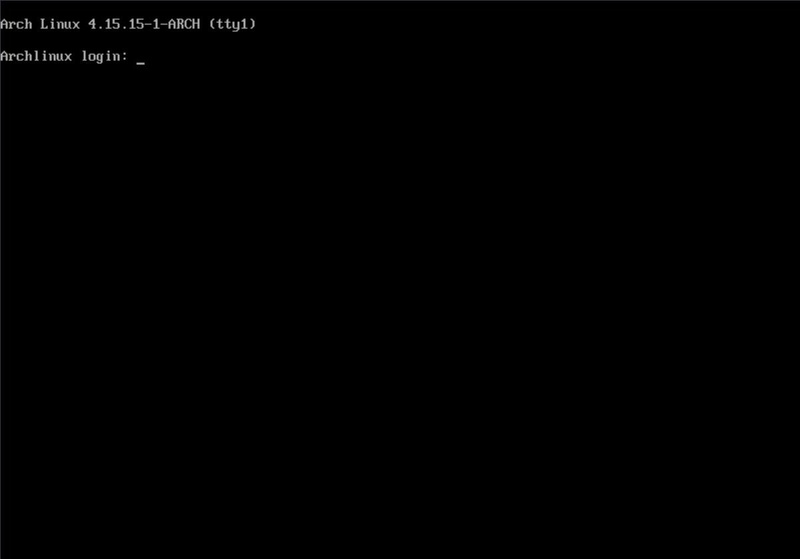 Sudo is not required since we are still root now. It is just a reflex. Over time you will change your AUR helper. During this ArcoLinux project we have seen packer go. Yaourt seems to go the same way. We will no longer install Yaourt at this stage of the installation process. Two Aur helpers: if one fails, the other is there as fall-back. We suggest you install the AUR helper once you are in a graphical environment. Follow this tutorial when booted into your desktop of choice. I moved this part from Phase 1 to here (Phase2). I agree that we can do this later as well. It is just a matter of timing. Multilib repositories include applications such as wine and steam. If you do not intend to install them you can skip it. Edit the pacman.conf to include the multilib repositories. Just delete the hashtag in front of the two lines. We changed some of the settings on top as well. They are interesting but not essential. Check out our ArcoLinux pacman.conf if you want to have the same settings. If you update the system after the changes, you will see an extra line for multilib. For our ease and future comfort we install also bash-completion. It completes commands when you press on TAB. Then we will install our personal account. At this point you choose your personal login name. Then we are making a password for this account. 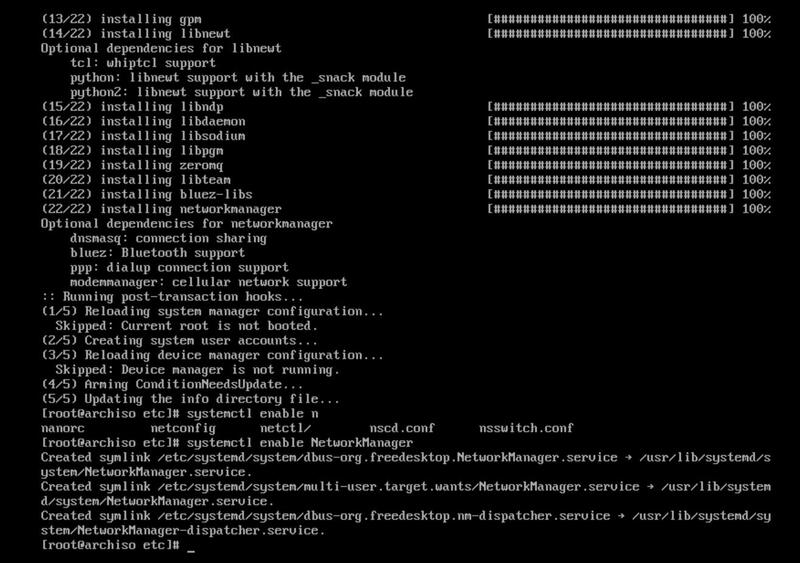 We need “erik” to be able to do administrative tasks or “sudo … ” tasks. We need to delete a hashtag in a specific file. Look for this line of code and delete the hashtag in front of it. Log back in with your personal account. I will login with erik and its password. Internet is activated thanks to networkmanager. We try it out with sudo pacman -Syu.